Today in Masonic History Benjamin Stark passes away in 1898. Benjamin Stark was an American politician. Stark was born on June 26th, 1820 in New Orleans, Louisiana. His family moved to Connecticut where he graduated from Union School in New London, Connecticut. He later attended and graduated from Hebron Academy in Maine. In 1835, Stark moved to New York City where he read law and was active in mercantile pursuits. In 1845 he left New York City on Toulon, a cargo ship where he was the cargo supervisor. The ship traveled to the area that would become Portland, Oregon. Once in the Oregon territory, Stark purchased land in the area which would become Portland. He also became something of a community leader in the area, despite often being away on business. In 1848, Stark moved down the cost to San Francisco to take advantage of the California Gold Rush. There he established a mercantile business. In 1850 Stark moved back to the Portland area. It was then that he discovered that the property that he had previously purchased was in dispute. After the dispute was resolved, Stark took control of the property and the those who had disputed the land were required to pay Start back for the land they had sold. Stark then sold a triangular chunk of land to the early city of Portland which make up a large part of downtown Portland. He slowly sold off other pieces of land for use in the city. In 1852, Stark was elected to the Oregon Territory House of Representatives. In 1853, he was serving as a colonel in the local militia and was part of the hostilities between settlers and Native Americans. 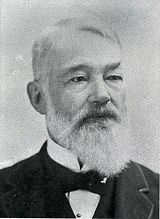 In 1860, Stark was elected to the Oregon State House of Representatives. In 1861, when the junior United States Senator was killed in the American Civil War, Stark was appointed to fill the seat. He only served in the United States Senate for one year. After leaving the United States Senate, Stark returned to New London, Connecticut and continued his law practice. Stark passed away on October 10th, 1898. Stark was initiated into the fraternity in Loge Le Progres de l'Oceanie in Honolulu, Hawaii. He then affiliated with Willamette Lodge No. 2 in Portland Oregon where he served as Worshipful Master and Secretary.